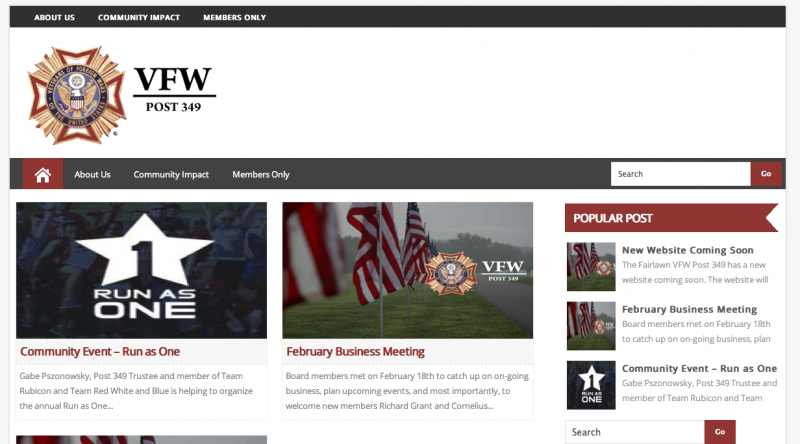 The Fairlawn VFW Post 349 has a new website coming soon. The website will feature members, events, news, and plenty of extras. Thank you and stay tuned for more updates! The Fairlawn, Ohio VFW Post 349 is a post dedicated to supporting local veterans through programs and donations to our community.